Author(s) Paine, S. C. M.
The Japanese experience of war from the late-nineteenth to the mid-twentieth century presents a stunning example of the meteoric rise and shattering fall of a great power. 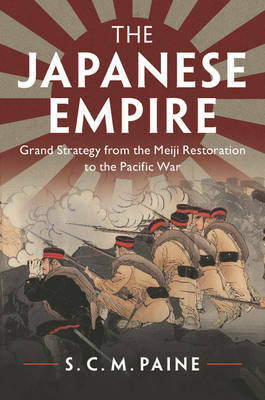 As Japan modernized and became the one non-European great power, its leaders concluded that an empire on the Asian mainland required the containment of Russia. Japan won the First Sino-Japanese War (1894-5) and the Russo-Japanese War (1904-5) but became overextended in the Second Sino-Japanese War (1931-45), which escalated, with profound consequences, into World War II. A combination of incomplete institution building, an increasingly lethal international environment, a skewed balance between civil and military authority, and a misunderstanding of geopolitics explains these divergent outcomes. This analytical survey examines themes including the development of Japanese institutions, diversity of opinion within the government, domestic politics, Japanese foreign policy and China's anti-Japanese responses. It is an essential guide for those interested in history, politics and international relations.